Despite the World Series of Poker in full swing and a recent player pool merger between Nevada and New Jersey, WSOP.com hasn’t seen much of a spike in cash game traffic so far this summer. But the news isn’t all negative for the Caesars Entertainment-owned poker site as the series’ first online bracelet event had a record crowd. Let’s start with the good news. WSOP.com hosted the first of four online bracelet events on June 3 – $365 no-limit hold’em – and had 2,123 players for a total of 2,972 buy-ins, both records for the poker site. William “twooopair” Reymond shipped the gold bracelet for more than $150,000, one of the largest payouts ever on the legal online poker site. The event, the first major tournament since the shared liquidity agreement went into effect on May 1, was a rousing success and, perhaps, a precursor for what’s to come in the remaining three online bracelet events this summer. Those within New Jersey and Nevada borders are eligible to compete in any of the online bracelet events. Unfortunately, we have some slightly negative news to report along with the aforementioned positive story. 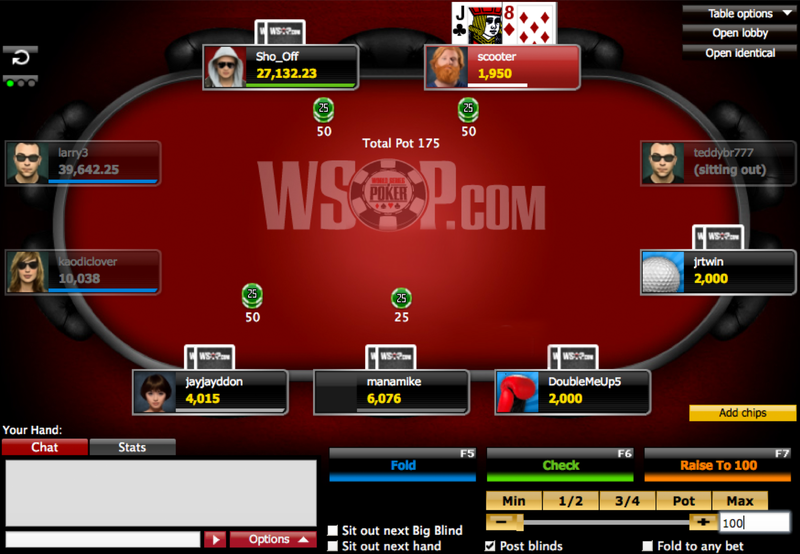 In recent years, cash game traffic on WSOP.com has increased significantly during the World Series of Poker compared to the same period the previous year, but that hasn’t been the case this year and it’s a bit confusing. In 2015, average cash game traffic had a 26 percent increase during the WSOP compared to the previous year. The following year, it rose another 19 percent and then jumped again in 2017 by 18 percent. Now that Nevada and New Jersey have a shared liquidity agreement that allows players from both states to compete on the same poker site, many expected an even bigger spike in cash game traffic this summer. But the jump has only been 8 percent. There are a few potential reasons why cash game traffic hasn’t been what many expected heading into the summer. The first theory is that WSOP.com is catering more towards the tournament-playing crowd this summer. With four bracelet events offered and a new Online Championships series, it’s plausible that WSOP.com’s players are more focused on these exciting tournaments. Another factor could be the new Blast Poker games Caesars Entertainment is offering its online players. This lottery-style sit n go feature is attracting many players, potentially taking some away from the cash games.